So today is the final Thursday Three. Next week, we start a new blogging schedule (it’s good, I promise!). I thought it would be fun and interesting to list our favorite three books of the Bible. Yes, they’re all good. Yes, they all contain wonderful, heart-changing content. But what three speak to you the most? Which ones do you find yourself turning to again and again? Proverbs. I read a chapter of Proverbs every day, going through the entire book in one month. I believe there is a reason that there are 31 chapters of this practical book for wise every day living. Matthew – Never get tired of reading Matthew. I soak up all of the amazing miracles and words from Jesus himself. For some reason, I am touched by Matthew’s account more than any other gospel. Esther – Such a beautiful story that moves me every time. Your turn! 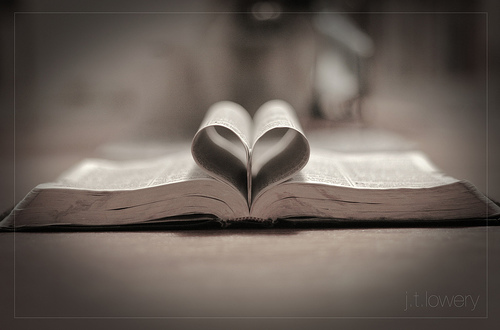 What are your three favorite books of the Bible? “God Speaks Bible” Article/Blog Contest Open! 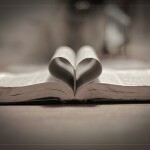 Next Blog Contest – Christian Books! John: An amazing portrayal of Jesus as the Christ. LOVE chapter 17 – He’s praying for me. Isaiah: His perseverence through a time of rebellion. Here I am send me! Exodus: Moses talked to God face to face – Love the personal relationship. Genesis: Adam, Noah, Abraham, and so many more, here we meet such great people of the Bible. We also get a glimpse at creation, and God’s first promises…Great things happen in Genesis!! Psalms:I find comfort, strength, help, hope time and again. Isaiah: powerful – and got saved in this one! Romans – step into the new man.Yippee. It is so difficult to choose, and it may change tomorrow, but..
but my favorite verse is Jeremiah 33:3 and I find myself in Jeremiah a lot just because of that. Psalms: because there is comfort for any situation. Proverbs: for all the guidance and wisdom. Song of Solomon: such a beautiful love story. My favorite book in the Bible is the book of Psalms. The Psalms cover everything! There is guidance for every area of life as well as the vicissitudes of life. Isaiah:Because it talks so much about Jesus. Job: Because when I compare my problems to his, my problems always seem so small. I especially like Luke and the account of the birth of Jesus. It so much reminds me of the joy of Christmas that when I read it, even in summer, snow falls from the sky and the rich fragrance of pine needles fills the air.